"I have been working in Hawaii's sun since 1960, sailing on boats off Waikiki and Lahaina and working on the beach. I am 68 years old and it took a serious case of squamous cell skin cancer to wake me up to the fact that I need to apply sun screen protection on my skin all of the time. For maximum benefits follow up with a liberal application of moisturizer containing Aloe. This makes your skin soft and healthy. 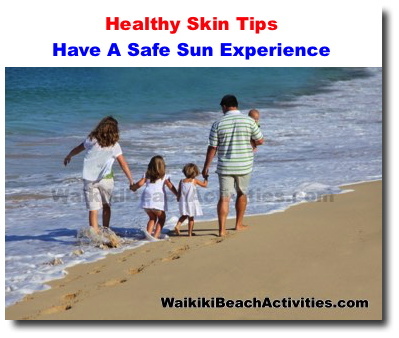 "Proper use of sun care products with 15 or more SPF also helps prevent wrinkles. WBA beachboys and lifeguards use sun screen lotions to protect themselves during their nine hour shifts in the sun.